Our comprehensive range of services will meet your retaining and construction needs today and in the future. We can construct any size and shape of retaining wall. 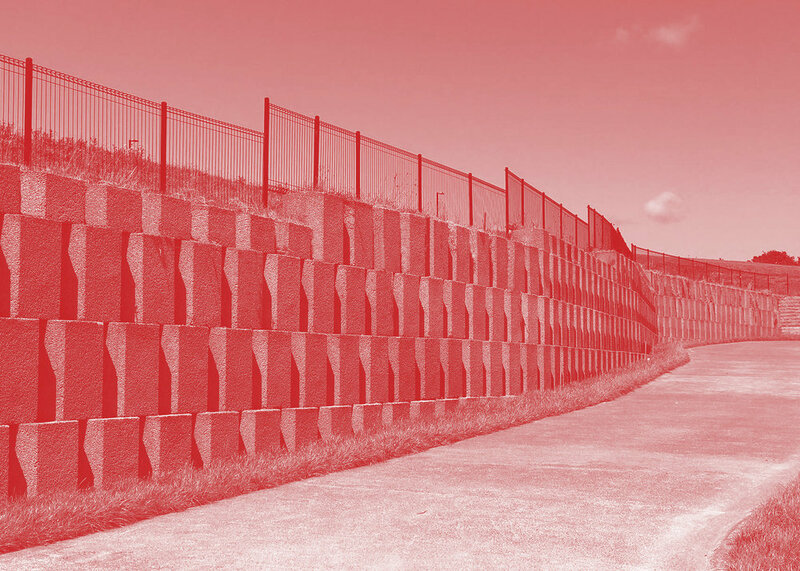 We have built walls up to 15m high with an emphasis on delivering projects on time, on budget in varying conditions, near water, in landslips, in difficult weather conditions, ensuring health and safety is never compromised. Experience and an enviable reputation has been gained for delivering quality projects on time, safely and within budget for the many retaining systems the company constructs. All ICB staff are trained to ensure quality and productivity are provided during and on completion to continue the reputation as the benchmark of the industry and our clients. Our specialised crews, with the best available tools and plant, handle projects in a professional manner. They have the proven experience to deliver on time, in challenging situations, whether its constructing retaining walls under the water table, in tight access situations, in tidal coastal areas, or places with complex geology. We can quote on a range of services, and will work with your geotechnical team, and your own company representatives. We can design to your brief, taking into account the product requirements and recommend design options that meet the engineering needs. We have 3 specialist crews available in Auckland: North under the supervision of Richard Wills, Central-West under supervision of Graham Holmes and South under superivison of Dean Peach. In addition to the checks done by the client and local or national body representatives, our own engineers are involved in checking all stages of construction. Further more, we self-certify all our work on completion, to make sure it meets all local government and national codes. This provides an additional assurance to clients, by giving a double peer review of the complex engineering issues. We are a licenced ConstructSafe test centre. We have a facility at our main office as well as a mobile service. Just get in touch with Annette to talk about your testing needs. The professional engineering team at ICB offer practical designs for a vast array of retaining requirements. With years of experience specialising in retaining walls ICB can offer clients advantages with innovative design mindful of cost and constructability. We offer a range of design options and installation services that will enhance your project. They can range from stone walls to precast patterns which can become a feature of the construction. The different options can also allow landscaping solutions which meet local conditions while still delivering a sound retaining integrity. We can deliver a range of timely, cost effective temporary walls for shoring during initial building construction, or emergency work for slips and urgent retaining requirements. Our construction is immediate, safe and allows site development to continue with confidence. We offer a comprehensive range of services to meet your retaining and construction needs. We provide engineering design and construction. Alternatively, our staff can work with you to find the best solution, then we can build to your requirements. Or we can construct walls to your designs. We have more than twenty years experience in this specialised area, and are happy to work with your designers and engineers to get the best solution for your project. We employ our own engineers, who can advise, and ensure all projects are peer reviewed before they go to councils for approval. We have a proven record of excellent working relationships with our clients. We are a licenced ConstructSafe test centre. We have a facility at our main office as well as mobile. Just get in touch with Annette to talk about your testing needs.